Over the 140 years countless people have come and heard the good news about Jesus, met together to sing praises and to pray together. Many have been baptised or married at the church, whilst others have had their funeral service there. Possibly the most notable funeral service in its history was 100 years ago, when several children were killed on their way to Sunday School by a bombing raid during the First World War. 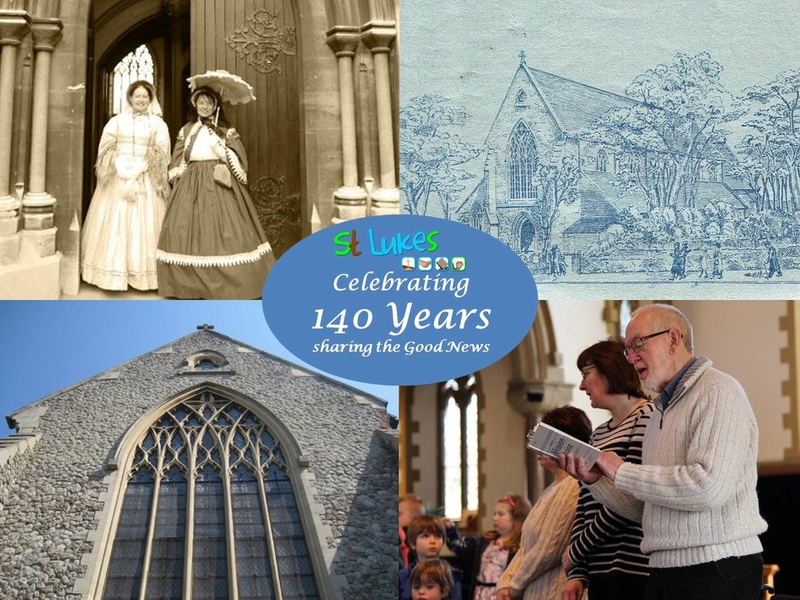 The vicar, Paul Worledge says, “Children and young people have always been welcomed at St. Luke’s.” One couple who are still keen members of the church met at the church youth group in the 1950s. These days St. Luke’s, Fusion youth group on a Friday evening flourishes, whilst a third of our Sunday congregation are under 16. We also run a Parents and Toddlers group and a Fellowship group each week in the adjacent hall. The celebrations will include a Prayer Day on Saturday 5th November, when the church will be opened. There will be a led prayer slot running every half-hour to pray for different topics and a ‘Prayer Space’ that people are welcome to engage with at any time. Anyone is welcome to pop into the church on that day to join us in prayer, try out the Prayer Space or just look around. Then on Sunday 6th November at 10:30am there will be a special celebration service. The Mayor of Ramsgate will be joining us and our guest speaker, John Dunnett, from CPAS our church Patrons will be speaking on: ‘What kind of Church does Ramsgate need?’ Again all are welcome to join us for that service.